A fizzy alternative for gelatine-free sweet lovers! 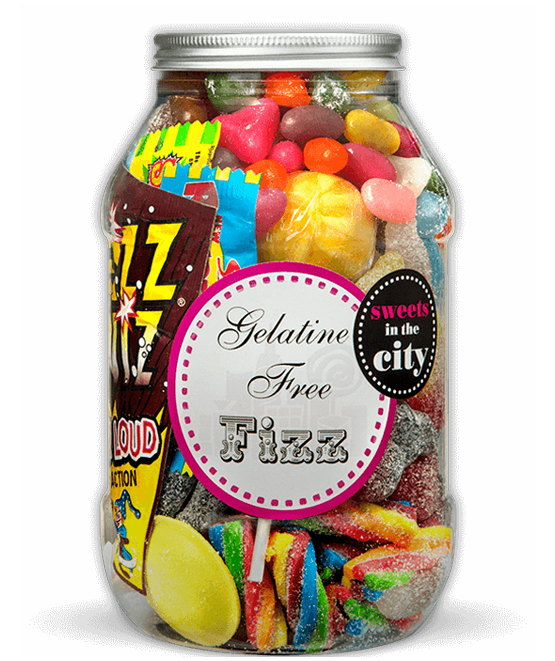 If you're looking for some gelatine-free fizzy sweets we have the perfect selection for you! 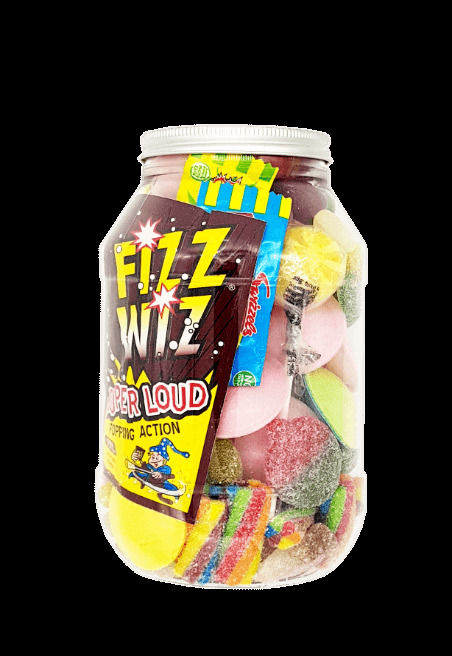 All of these wonderfully delicious sweets can be enjoyed by those who don't eat gelatine but still want to satisfy their sweet tooth. Buy this as a gift for your gelatine-free friend or just treat yourself! Product 1: Sugar, glucose syrup, WHEAT starch, modified maize starch. Acids: E260, E270, E296, modified potato starch, BARLEY malt extract, flavouring. Product 2: Sugar, glucose syrup, WHEAT starch, modified maize starch, acids: E260, E270, E296; modified potato starch, sodium hydrogen carbonate, flavouring, colours: E100, E120, E141. Product 3: Sugar, glucose syrup, WHEAT starch, modified maize starch, acids: E260, E270, E296; modified potato starch, sodium hydrogen carbonate, flavouring, colours: E100, E120, E141. Product 4: Sugar, maize starch, dextrose, acid: E334, acidity regulator, E500, Flavourings, colours: E100, E132, E162. Product 5: Sugar, glucose syrup, acidity regulators: sodium bicarbonate; acids: citric acid, malic acid; flavouring, colour: E100. May also contains MILK, NUTS, SOYA and GLUTEN. Product 6: Glucose-fructose syrup, sugar, WHEAT flour, water, vegetable fat (coconut), acids, E296, E330, emulsifier E741, flavours, preservative, E202, colours E102, E129, E133, E171. Product 7: Sugar, glucose syrup, water, modified maize starch, acid (malic acid, fumaric acid, citric acid), flavourings, glazing agents (beeswax, carnauba wax, shellac), vegetable oil (coconut), colouring food, concentrates (apple, spirulina, safflower, carrot, blackcurrant) (extract of nettle, spinach, turmeric), colours: E100, E120, E131, E132, E133, E150a, E150d, E153, E171. Ingredients on Wrapper (Fizz Wiz, Mini Me).